New York State Governor Andrew Cuomo is planning to use some of the cash from his recently announced $650 million biotech initiative on Manhattan’s biggest life sciences problem—lack of lab space. Cuomo will put $17 million in state funding towards a new biotech startup incubator that will be situated in the New York Genome Center in Lower Manhattan. The incubator will take up the third floor of the NYGC—about 30,000 square feet of space in the SoHo neighborhood. The incubator will be the latest outpost for “JLabs,” a network of Johnson & Johnson-owned biotech startup hatcheries in Boston, San Diego, San Francisco, Houston, and Toronto. The facility should open in the first quarter of 2018, according to Melinda Richter, the head of JLabs, though it could potentially come earlier, depending on how quickly J&J (NYSE: JNJ) can get the necessary permits. The idea is to have 30 companies occupy JLabs, though the actual number could fluctuate depending on how much room each company needs. The space will be open to biotech, pharmaceutical, medical device, and consumer health companies. J&J does not take equity in JLabs startups. “There are no strings attached,” Richter says. J&J has been interested in opening a JLabs outpost in New York for a long time, Richter says, but space—particularly zoned lab space—has been hard to find. “We’ve been circling around for awhile and meeting with everybody,” she says. The lab space problem in New York has been well documented in Xconomy and elsewhere. Despite a wealth of academic institutions and a consistently high amount of yearly NIH funding, New York lags well behind other more established biotech hubs in Boston, San Francisco, and San Diego in starting and developing home-grown biotech companies and attracting venture funding for them. An oft-cited reason is a lack available space for those companies to take root and grow. Incubators are one of the answers for this problem, and New York does have a few of them in Brooklyn (at the SUNY Downstate Medical Center) and in West Harlem (Harlem Biospace). A third, called “LaunchLabs,” could open at the Alexandria Center for Life Science this year. 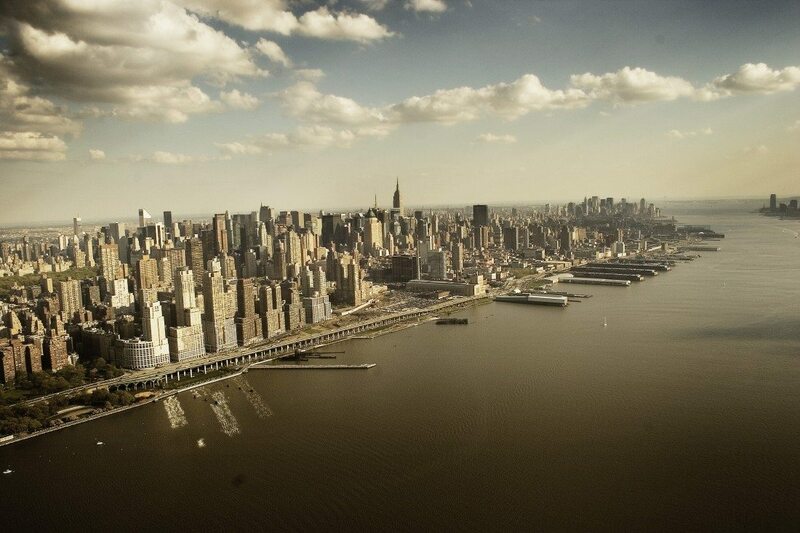 But much more space is needed to support the type of biotech hub the city, and New York state as a whole, aims to be. That’s particularly critical given the influx of venture firms who have planted flags in New York and want local places to house their startups. New York city and state governments recently announced plans to specifically go after and solve this problem through two separate, but complementary initiatives. Cuomo pledged $650 million in state funds towards biotech in December, while New York City Mayor Bill De Blasio followed it with LifeSci NYC, a $500 million plan. Both include a series of targeted investments, tax incentives, and startup and entrepreneurial support mechanisms, and both set aside funds specifically to bring lab space online and form biotech incubators. Cuomo’s initiative, for instance, aims to make more than 3.2 million square feet of space and 1,100 acres of developable land available, tax free, at 45 colleges and universities statewide. This includes, for example, about 250,000 square feet of available space on Long Island at Stony Brook University and Farmingdale State College, another 557,351 square feet of space at SUNY Downstate Medical College in Brooklyn, and roughly 300,000 square feet of space in central New York. And as part of De Blasio’s initiative, the New York City Economic Development Corp. began fielding proposals to develop new incubators in Manhattan last month. Here’s more on the city and state initiatives, and New York’s life sciences scene.